We All Need Mentors. Here Are More than 100 of the World’s Best. When facing life’s questions, who do you turn to for advice? We all need mentors, particularly when the odds seem stacked against us. 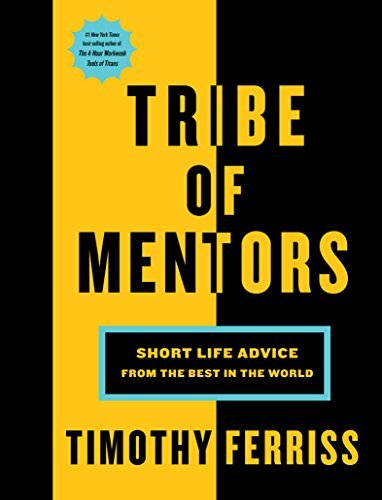 To find his own, four-time #1 best-selling author Tim Ferriss tracked down more than 100 eclectic experts to help him, and you, navigate life. Through short, action-packed profiles, he shares their secrets for success, happiness, meaning, and more. No matter the challenge or opportunity, something in these pages can help. • Why Dropbox co-founder Drew Houston’s cheat sheet for his younger self would include a tennis ball, a circle, and the number 30,000.